Shri Amarnathji Yatra 2019 "46 days Yatra to begin on 1st July, 2019"
Please walk 4-5 Km daily, consult your doctor, exercise deep breathing and drink plenty of water etc. to prepare yourself for the Yatra. Please do not undertake your Yatra without proper shoes and woollens clothes and always carry Identity Card, registration Permit, raincoat, Umbrella etc. Persons aged more than 75 years and less than 13 years and women with 6 weeks pregnancy are not allowed to undertake pilgrimage. The Access Control Gates at Domel and Chandanwari remain open only from 5 AM to 11AM and the onward movement from Panjtarni to Holy Cave is not allowed after 3 PM. Please do not commence journey on an empty stomach. 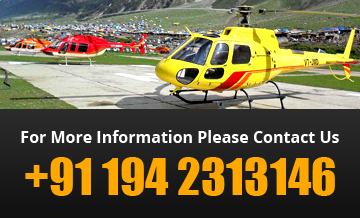 Please do not overexert during the Yatra beyond your normal capacity. Please do not attempt any shortcuts, walk only on the track and never stop at places which are marked by warning notice. Free food facility is available in the entire Yatra area at the langars. Please consume plenty of carbohydrates and follow prescribed food menu. Please do not drink alcohol, caffeinated drink or smoke. Please do not throw used plastic bottles and other garbage in open. Earth, water, air, fire and sky are integral parts of lord Shiva. Please respect the environment and do nothing whatsoever to pollute the Yatra area. Please perform Yatra with a pious mind and do not throw coins, notes, chunni etc. at the Holy Lingam. In case of emergency, please contact nearest Camp Director/ MRT or Control Room on +91-194-2313146, 2313147, 2313148 and 2313149. Yatris are advised to start their journey early in the morning and cross Jawahar Tunnel before 3.00 PM. Do carry sufficient woolen clothing as the temperature may sometimes abruptly fall to below 5 degree Celsius. Do carry umbrella, wind cheater, raincoat, and waterproof shoes as the weather in the Yatra area is unpredictable. Do keep your clothes and eatables in a suitable water proof bag to avoid your belongings getting wet. Do keep in your pocket a note containing the name / address, mobile telephone number of any Yatri proceeding for Darshan on the same date as you are doing, for emergency purposes. Do carry your identity card / driving license and Yatra permit with you. Out of all Hindu deities, Lord Shiva is extremely popular not only amongst Indians but also amongst the people of other nationalities. To get closer to their revered God, who appears on this earth in the unique form of an Ice Lingam, millions of devotees trek through the daunting mountains to Shri Amarnathji Shrine in South Kashmir every year in the summer months to pay obeisance. 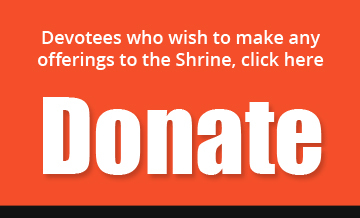 The Shrine is managed by Shri Amarnathji Shrine Board (SASB), that was constituted by an Act of the Jammu & Kashmir State Legislature in 2000 with His Excellency the Governor of Jammu and Kashmir as its ex-officio Chairman.